Anyway! Here’s the nth version of the story inspired by the question “What if you could go back to a certain moment in 2013 and change something?” Originally, the idea was to change the timing of a particular gesture or action during the night we went to see the flying lanterns. 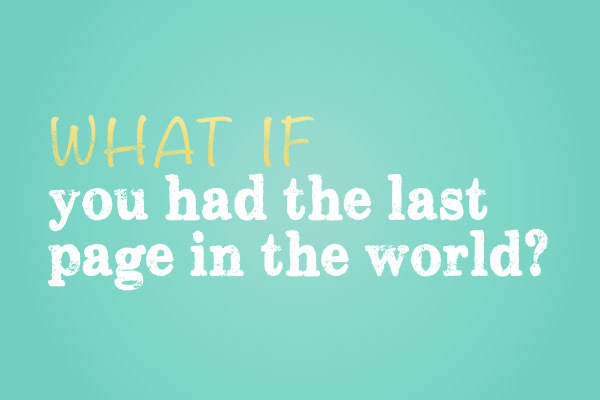 What if we had run sooner? What if we had run faster? But then I remembered a teensy tiny detail that could’ve made things easier, but wouldn’t have disturbed too much the flow of events. And so that’s what this story is all about. It takes us a second to process what she said, but then we see her disappearing into a crowd of people and we’re left with no choice but to sprint after her. My camera bag is swinging wildly, beating against my hip, while I’m struggling to keep up with the rest of the group. I’m running out of breath, and my flip-flops are threatening to fly off my feet. Mary is exhausted too, so we stop to rest and get distracted by a large group of people across the river releasing lanterns into the sky. Our two companions, Soraya and Ligia, are screaming something in the distance, but we can no longer make it out. We bring out our cameras and stay where we are. We’ll catch up with them. The three words echo loudly across the communal bathroom. I’m searching for an empty cubicle, scurrying from one door to another. I find one near the end and almost dive in as I hear footsteps outside the door. I quickly slam the door, lock it and press myself against the tiled walls, my heart thumping faster as I hear two familiar voices. Of course, I remember this moment: We had spent the afternoon biking around Chiang Mai and have just come back for a quick change. My fingers are itching to unlock the door. But then I remember what we’re getting ready for and emit a small squeak, immediately covering my mouth with both hands. I listen to see if they heard me, but I could still hear brushing amidst the sounds of flushing toilets and rushing water. I’m being given a second chance! I think of tonight and all the mistakes we’re going to make. A tip from the future would definitely change everything. Well, get out there and tell them then. “I can’t do that,” I mutter silently to myself. I think about leaving a note on the bathroom mirror. Fine, maybe I can write a note and tell the girl in the lobby to hand it to them. I hear one of them tapping on the folding doors nearby to see if it’s vacant, and I take a step back in surprise, almost slipping on the slippery tiled floors. Luckily, I cling on to the plastic curtains in time and gain my balance. I hear the door next to mine close and the lock click. I hear another door slam shut and assume that both of them have found vacant cubicles to change in. I need to get out of here. I unfold the door slightly and pop my head out to see if the coast is clear. I’m tiptoeing past the other cubicles towards the door, looking like a complete idiot, when something on the floor catches my attention. I raise an eyebrow. Without thinking about the consequences, I grab the pair of rubber slippers and silently walk out the bathroom. My gaze falls on the beaten-up pair of navy blue Chucks on my feet and a frown falls on my face. Boy, do they feel uncomfortable. I wasn’t supposed to wear them tonight, but someone had taken my slippers while I was changing in the girl’s shared bathroom. “Doesn’t this look weird?” I had asked Ate Mary, after we’d given up the search for the missing pair. I was in front of the full-length mirror, holding up the sides of my billowy, turquoise pants like a skirt to reveal the sneakers peeking out from beneath it. She was right, of course. When we got to Mae Jo University and alighted from the van, the driver pointed towards a dark lane shrouded by trees, signifying that that is where we’re supposed to be headed. “We’ll meet back here at 10 PM,” he tells us. I glance at my watch and it’s a few minutes past seven. That should give us enough time. We meet up with Ligia and Soraya, both female solo travelers whom we had met in the lobby of the hostel, and walk into the darkness as a group. We are giddy with excitement, our happiness overflowing when we spot small dots of light floating upward, past the full moon and further into the sky. Would there be more? I wonder as we follow the path, a thick forest of dark trees to our right, and a grassy area to our left that sloped down to a thin stream of still water. After a few minutes of walking, we see bright lights straight ahead from the cars and motorcycles parked across the stream, throwing long and thin shadows on the ground. We hear voices and laughter, and see more and more lanterns floating up to the sky. Suddenly, Soraya shouts without warning, “RUN!” and bolts towards God-knows-where. Ligia follows. Mary and I look at each other and take a moment to decide before finally sprinting after them. I sling my camera bag over my shoulder and keep my gaze at Soraya, urging my legs to keep up with her pace. I’ve had no exercise prior to this trip and I can feel my whole body protesting. This is madness! We fall behind, Mary and I, and we take a minute to catch our breath. I bend over and squint at my shoes. Damn, it’s a relief I had these on instead of slippers, after all. The fear of missing out on something good grips me. We run. Run madly towards the lanterns. Bronze slippers in hand, I head down the lobby and out the front door. The bikes are still parked outside, where we left them. The staff is probably busy making arrangements for tonight and forgot to wheel them inside. Good for me, then. I hop into the shiny, red bicycle, shoot the flip-flops inside the steel basket of the two-wheeler next to it, and pedal away from the hostel. It was actually a what if question I asked during a meeting with a client. This was waaaay back. I had reached the last page of my Moleskine notebook (I mention the brand because I had imagined it would actually be cool if Moleskine could do this whole idea) and it made me think, “Well if this were the last page in the world, then it would mean nothing at all.” It contained nothing but notes, instructions, and doodles. And I felt a bit sad about it. So it led to me asking that question above.